The snow is melting rapidly as the weather warms up and the spring rains come through. I am reluctantly realizing that it is time to put the snowshoes away. This isn’t all bad news though. It also means that it’s time to continue planning for summer! The last couple of blog posts have looked at what kind of events and activities you could expect if you were planning a trip to the park this summer. There is enough going on to plan a full day trip, but with the price of gas rising many folks might be looking to making the most of the miles they’re traveling and plan for a longer trip. Don’t cross Sumpter off your list then, because there is more to do out here than meets the eye. The visual display of inventive mechanical wonders and pioneer spirit does not stop with the Dredge. Sumpter hosts the Sumpter Municipal Museum and the Cracker Creek Mining Museum both exhibit displays showing the lifestyle and technology of the Oregon Gold Rush. Further examples of the Sumpter Valley Golden years can be seen scattered throughout the area; places like the pond up towards the old Mining town of Bourne which holds the remains of the second dredge hull or the Fremont Power house located 7 miles outside of Granite. 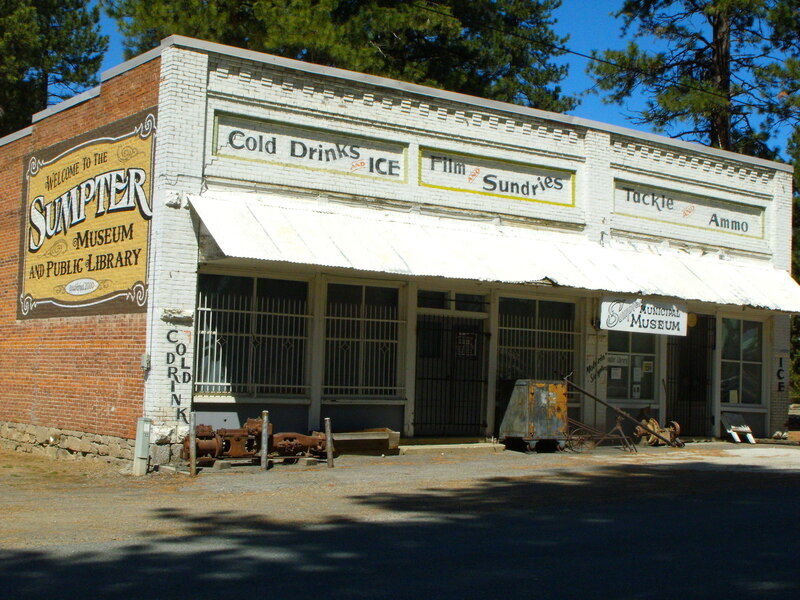 The remains of several ghost towns, such as: Whitney, Granite, Boune, and Auburn, are scatter throughout this area. Compliment this area’s history by making a trip to Baker to visit the Baker Heritage Museum, The Oregon Trail Museum, and the Eastern Oregon History Museum. In the latter part of the summer, when the snow has melted in the Elkhorns, this trip could be made in a day along with a tour of the beautiful Scenic Elkhorn Byway which cuts through the Elkhorn Mountains to Anthony Lakes and loops around from Sumpter To Baker. If your interest is more directed to exploring the great outdoors and taking in some of the clean mountain air there are many options for you. Whether it’s hiking, ATVing, camping, or fishing; the Sumpter Valley and the Elkhorn Mountains has something for everyone. Just eight miles east of Sumpter is the Beautiful Phillips Reservoir. Open to boats, fishing, and sporting a 20 mile hiking/Mountain biking trail surround it, this lake is a great place to bring the family on those hot Eastern Oregon days. There are several great swimming holes around the lake and the hiking trail is easy enough for a quiet hike on your own or a family picnic outing with younger children. 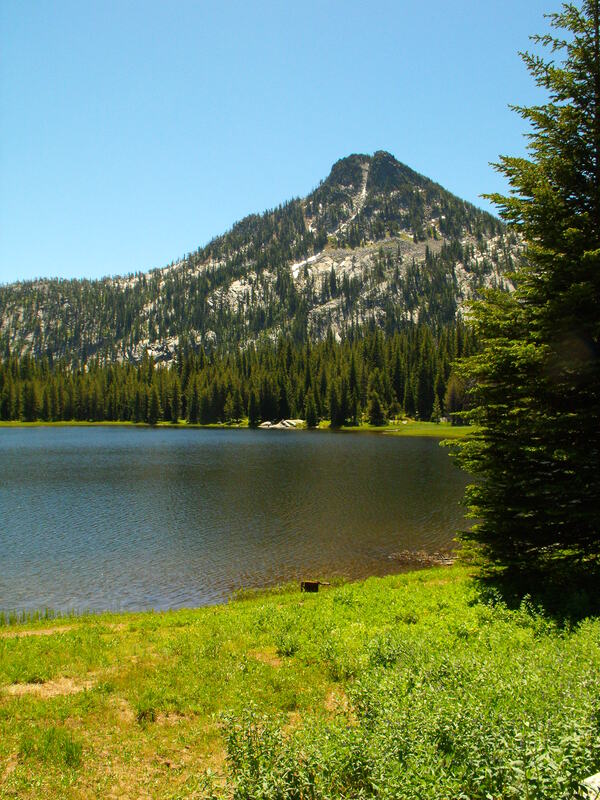 Olive Lake and Anthony Lakes are also great places to take the family to relax and explore nature. Motorized water craft are not allowed on these lakes, but both areas have hiking, fishing, and swimming galore. Hundreds of miles of hiking and ATV trails will take you off the beat path and off into some of Oregon’s hidden lakes, waterfalls, and geological wonders. With so many things to explore and do (and we haven’t even looked at other Events across the county…) of course a person would need several days to even put a dent in the list of things to do and see. Our area’s accommodations and amenities can set anyone up for a comfortable stay it’s indoors or camping. The Scoop-n-Steamer cabins, The Stockade, The Depot Inn, or the Lodge at Granite are a few of the lodging accommodations in Sumpter besides several vacation home rentals. Visitors can have a great meal after a day of exploring at the Scoop-n-Steamer, Borellos, or The Elkhorn restaurants. Folks at the Gold Post store or the Stage Stop gas station can help you stock up on supplies and fuel before you head back into the hills. Sumpter also has a laundry mat and public showers for those especially dirty days. Stay tuned for the next installment featuring more events! This entry was posted in City of Sumpter, History, Trip Planning and tagged Anthony Lakes, Base Camp Baker, Elkhorn Mountians, Elkhorn Scenic Byway, Olive Lake, Phillips Lake, Sumpter, Trip Planning. Bookmark the permalink.